Yup... just heard it on twitter from Ethan J Skolnick. He said: "Client news:Dolphins gives draft pick AJ Edds jersey # 54" also "Stupid, under the circumstances, for Dolphins to give No. 54 to a rookie." No link here, but I'm sure you have heard the news. Last edited by Dan on Tue Apr 27, 2010 5:08 pm, edited 1 time in total. I don't have much opinion on this matter, even though I don't really think this "feels" right. Especially now with all the anti-Ireland press taking place, the timing isn't all that great. I like Edds... but no one else should be wearing 54. Same for 99. If it's not retired (yet), what's the big deal? It's not like the NY Yankees here where they retire every number after a guy hits a double in the 6th inning of a game in June! Zach won't have his number retired either. He may get the HONOR ROLL but not a retired number. Newsflash: Due to all the retired jersey numbers, NFL to institute three digit jersey numbers for the 2024 season. Nice. Doesn't bother me at all. Zach Thomas was a rookie at the beginning as well and came in straight from college and started wreaking havoc right off the bat. Maybe Edds plans on doing the same thing. I hope he lives up to the ol' #54. Good luck kid. I agree, Zach was our beast in the middle for a long time but it's time to move on. Let's just hope this kid can fill the monster shoes that Thomas left behind. I'm rooting for the kid, I hope he goes on to achieve great things just like Zach did. A number is just a number, Zach Thomas will always be remembered in the hearts of all Dolphins fans even if they don't retire his number. I agree that it does hurt to hear that someone else is going to wear it, but right now I'd like to see someone wearing #99. Agreed. I wouldn't mind seeing Cameron Wake in #99, or maybe even Jared Odrick. I think that Wake would look good in 99, cuz it will be a nice familiar sight to see 99 all over the QB, or getting up off him after he's been dropped. But, I wouldn't mind seeing Odrick, for the simple fact that I always thought 99 belonged on a huge dude, with a non-stop motor. From what I've heard that maybe Odrick. I think what Dave meant was that he would like to see Jason Taylor still with the Dolphins. Dont want to get off topic here & I know its a joke but please .... look at the 16 Yankess that have their numbers retired & I think some of them might even had hit a double in the 7th inning of a game in August! Now if we are gonna give numbers to inspire guys , how about giving Pat White 13. So Marino is a bigger icon than Zach or Jason? IMO Zach and JT are just as big to this franchise as Marino was. Yes, Marino is bigger. He led the team to a superbowl, set tons of records and was a no-brainer 1st ballot hall of famer. As much as I love them, JT and Zach did not have that kind of career. Marino's accomplishments on and off the field, and the fact that he went out as a Dolphin, place him as a bigger icon IMHO. Last edited by Dolfanrar on Wed Apr 28, 2010 8:57 am, edited 1 time in total. In my eyes he isn't... I guess it depends on which generation you grew up in. I barely saw any Marino... and sure he was a great QB, but I grew up watching Zach and JT dominate on those defenses. C'mon man... JT and Zach are nice players. They're Pro Bowl players. But they're not sure fire Hall of Famers. Jason Taylor will likely get into Canton someday, especially if he plays another couple years and puts up 7 or 8 sacks a year. Zach Thomas was good. He was not great. He will not be a Hall of Fame player. He is not one of the greatest of all time. Both should end up in the ring of honor. But NEITHER should have their numbers retired. That honor is reserved for the best of the best -- the record setters, the all-time greats. Marino fits into that category. Jason and Zach aren't even close. Griese was #12. I can't think of any other former #13s... who'd you have in mind? omg I can't believe I forgot that. My BAD. You're kidding with this question, right? It shouldn't matter who you grew up watching. One guy is in the discussion for the best quarterback of ALL TIME. The other guys haven't even made it into the Hall of Fame yet. Quick opinion: This is bull. Sure there are only a few numbers retired in team history, but there is a reason no one has worn this since Zach. Additionally, the fact that Ireland/Parcells did not allow him to sign a one-day contract to retire with the team and hold a quick press conference is absolutely ridiculous and pathetic. And then doing it 61,361 times. Marino is much bigger than ZT or JT. 13 is done for the Dolphins. 54 should be in play. 99 should be in play. If they are sought numbers and the number is not retired, this is a non-issue. I loved ZT and JT in their prime, but that is now passed. Neither can compare in any way to Marino - regardless of the era you became a fan. 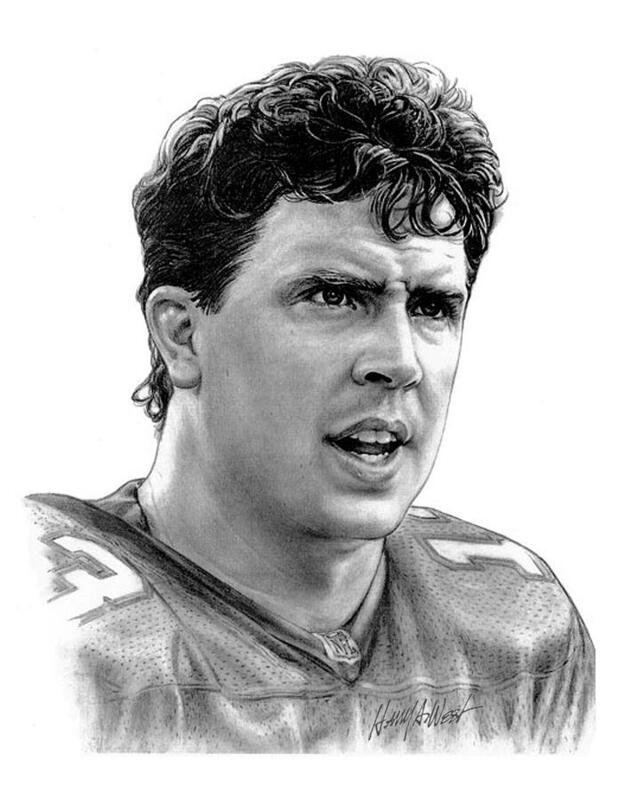 Marino wasn't first team all pro from 1986 on, I find that a little amazing. I know that those years go right into the Elway and Montana Super Bowl years but still. Not even once more after 1986...wow!